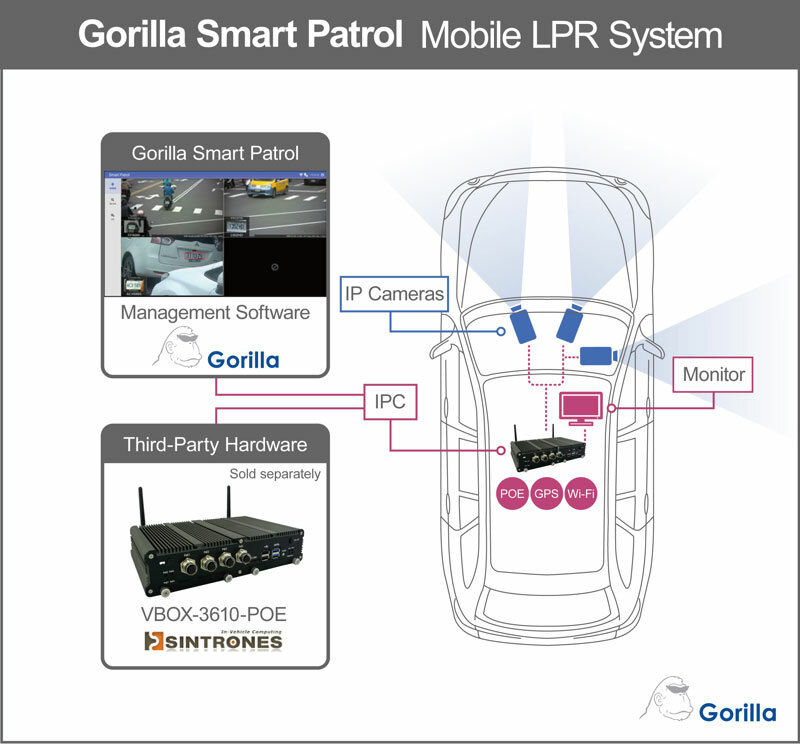 Gorilla Technology, a global leader of video intelligence and IoT technology, today releases Smart Patrol, a cloud-based license plate recognition solution integrated and installed in patrol vehicles. The system allows law enforcement agencies to position camera setup to target and scan license plate information from oncoming traffic, side and rear-facing cameras for additional views. Smart Patrol improves patrol duty by replacing manual operation with real-time streaming, video analytics to report on parking violations, and alert system notifications to deter crime and assist investigations. Gorilla’s Smart Patrol solution works well with better video recognition accuracy in urban, densely populated cities, and rural areas. Automatic image enhancement and correction are applied during video processing to adjust lighting and angle inclination, as well as greater accuracy when capturing video at high-speed. Integrating Sintrones in-vehicle computer, VBOX-3610-POE, maximizes computing efficiency and complements the Smart Patrol solution. There is UPS, PoE, and GPS support for license plate data backup, time recording, and location information. Data synchronization is via LTE and WLAN making it easier for remote access and joint collaboration from anywhere anytime. 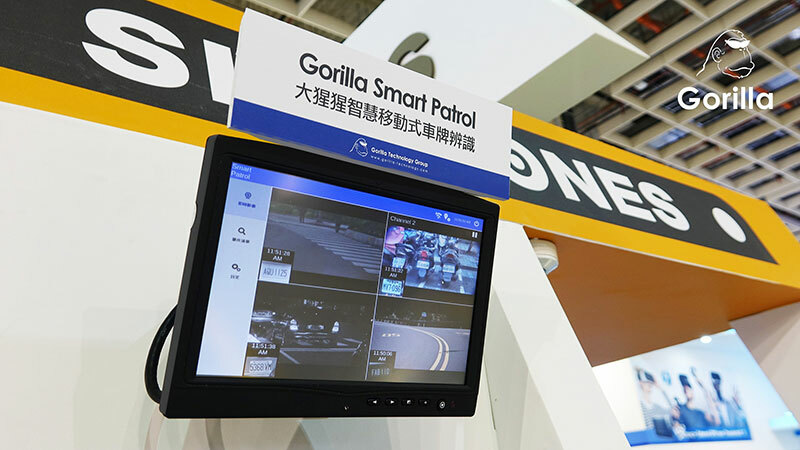 Smart Patrol combines edge computing and AI-based video analytics on Gorilla’s Video IoT platform to deliver unparalleled service optimized for computing efficiency and data analysis accuracy. This solution will be showcased at the 2017 COMPUTEX, located at the Nangang Exhibition Center 1F, Booth #K0602, Sintrones booth.